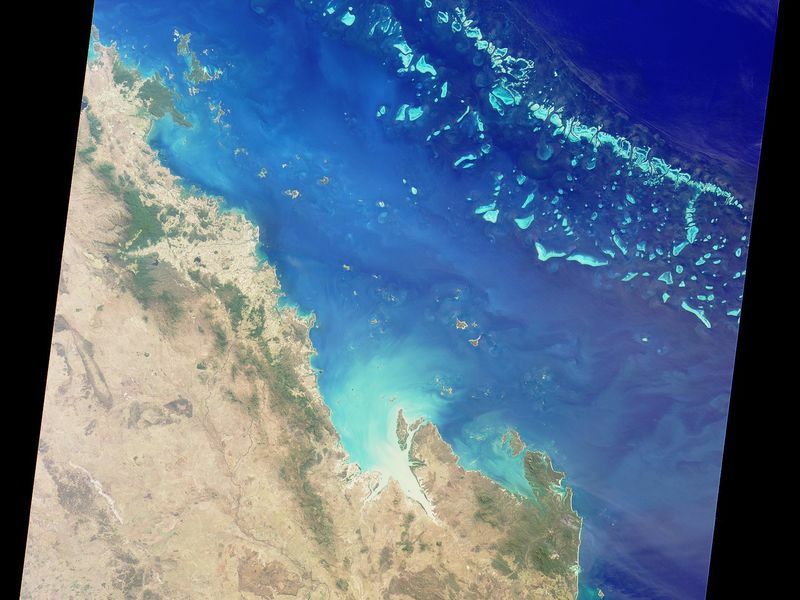 The Great Barrier Reef extends for 2,000 kilometers along the northeastern coast of Australia. It is not a single reef, but a vast maze of reefs, passages, and coral cays (islands that are part of the reef). 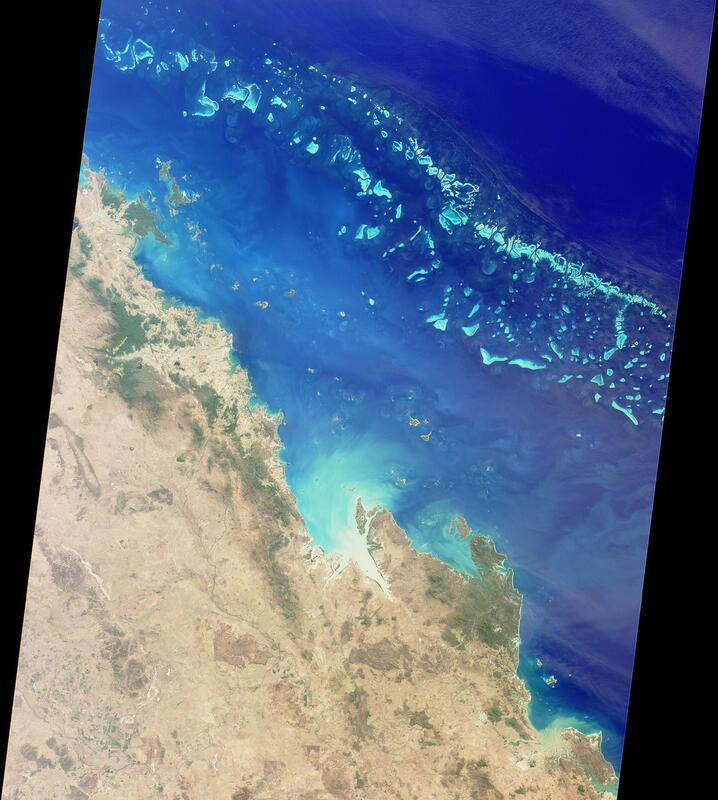 This nadir true-color image was acquired by the MISR instrument on August 26, 2000 (Terra orbit 3679), and shows part of the southern portion of the reef adjacent to the central Queensland coast. The width of the MISR swath is approximately 380 kilometers, with the reef clearly visible up to approximately 200 kilometers from the coast. 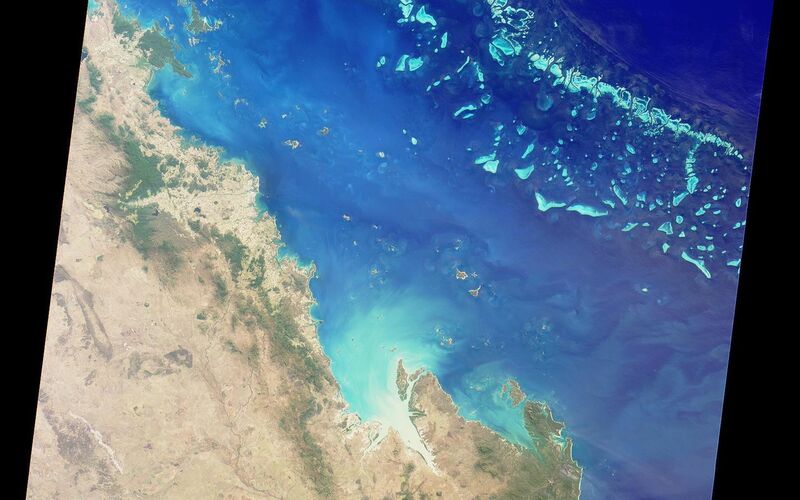 It may be difficult to see the myriad details in the browse image, but if you retrieve the higher resolution version, a zoomed display reveals the spectacular structure of the many reefs. The more northerly coastal area in this image shows the vast extent of sugar cane cultivation, this being the largest sugar producing area in Australia, centered on the city of Mackay. Other industries in the area include coal, cattle, dairying, timber, grain, seafood, and fruit. The large island off the most northerly part of the coast visible in this image is Whitsunday Island, with smaller islands and reefs extending southeast, parallel to the coast. These include some of the better known resort islands such as Hayman, Lindeman, Hamilton, and Brampton Islands. 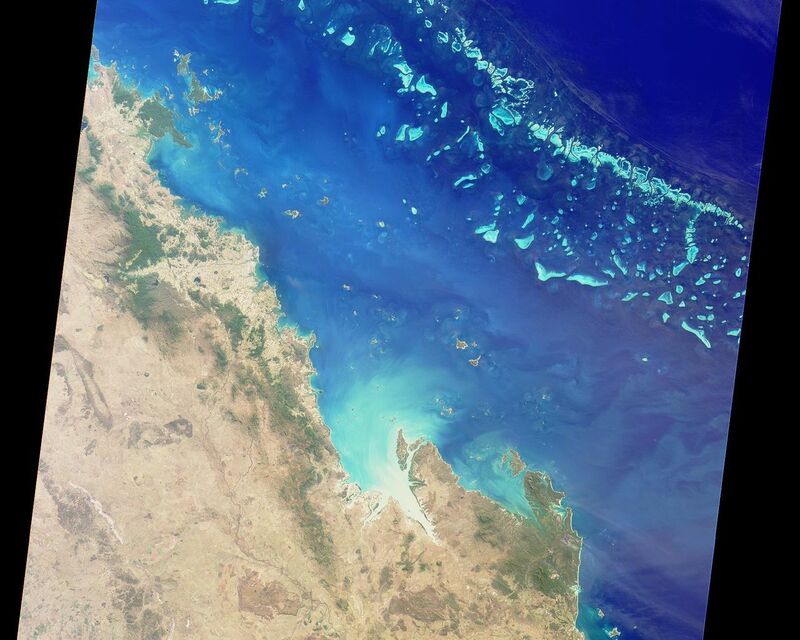 Further south, just inland of the small semicircular bay near the right of the image, is Rockhampton, the largest city along the central Queensland coast, and the regional center for much of central Queensland. Rockhampton is just north of the Tropic of Capricorn. Its hinterland is a rich pastoral, agricultural, and mining region.